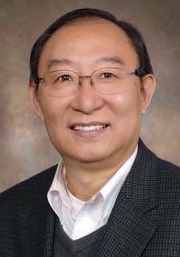 Over the past two decades, Dr. Wang&apos;s research in cardiovascular pathophysiology and therapies has focused on three areas: 1) effect of various additive agents of cardioplegic solution on functional cardiac restoration, 2) ischemic preconditioning against ischemia/reperfusion injury, its molecular mechanisms and signaling pathways, and 3) progenitor cell based cell therapy for treatment of myocardial infarction. Currently, Dr. Wang&apos;s research activities focus on stem cell therapies using three animal models. These models are myocardial infarction (MI) via ligation of the left anterior descending (LAD) coronary artery, heterotopic heart transplantation, and the use of a special cell patch to treat MI. These models are used to explore the role of progenitor cell differentiation, migration, and proliferation on protection and functional regeneration of injured heart tissue. Dr. Wang and his research team are investigating the optimal stem cell population for expressing certain cytokines (e.g., CXCR4) which can promote stem cell migration and proliferation and have the ability to attenuate the adverse remodeling process after coronary artery obstruction leading to myocardial infarction by releasing anti-fibrotic enzymes. Dr. Wang&apos;s team recently discovered that neuropeptide Y (NPY) induces the re-entry of differentiated rat neonatal and adult heart muscle cells (cardiomyocytes) into the cell cycle. His team has also recently developed a 3-dimensional (3-D) stratified cell-sheet as a potential therapeutic tissue patch, wherein inducible pluripotent (iPSC)-derived cardiac progenitor cells (cardiomyocytes and endothelial cells) and fibroblasts are co-cultured for application in the repair of ischemic heart tissue. This approach is very promising as a new therapeutic modality because it would avoid the use of synthetic biomaterial scaffolds, whose in vivo degradation by-products can produce inflammation and foreign body reactions. Dr. Wang’s team is also transducing endothelial and other progenitor cells derived from iPSC&apos;s with viral vectors encoding markers under the control of cardiomyocyte or endothelial cell-specific promoters to allow identification of cardiomyocytes, or endothelial cells. Most recently his team reported their discovery that overexpression of the micro RNA (miR-29) enhances the migration of progenitor cells from the cell patch into the subjacent myocardial infarction tissue by reducing the extracellular matrix barrier (collagen deposition) in the infarcted myocardium treated with an iPSC-based tri-cell patch applied to the epicardium. The goal of Dr. Wang&apos;s projects as a collective and unified research and discovery program is to identify and develop new strategies that enhance the application of cell-based therapies for myocardial tissue regeneration.